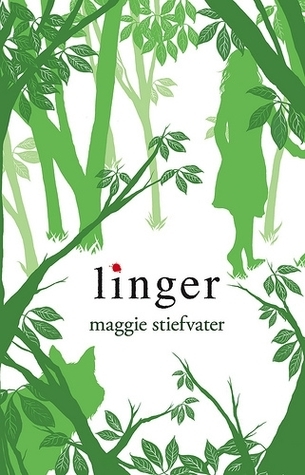 Linger is Book 2 in Maggie Stiefvater’s Wolves of Mercy Falls trilogy. 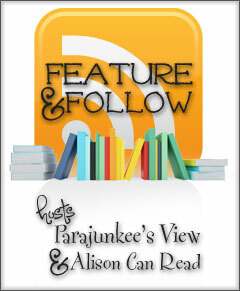 If you’ll recall, I recently read the first book, Shiver, and while I thought the writing was lovely and the premise was intriguing, I had some problems with certain aspects of the plot. But even so, I was anxious to read Linger, in the hopes that perhaps my qualms did not…er…linger. Warning: Spoilers for Shiver ahead. Once again, conflicting emotions. The good news is this book doesn’t spend nearly as long dwelling on the girl-falls-in-love-with-an-animal plot point, which I still find creepy. Grace and Sam are now both human and in love (in a relationship which may be a tad too obsessive to actually be considered healthy) and…happy? Well, no, not really happy, because Sam still has angst about being a wolf, and about the rest of his pack who is currently a wolf, and about the strange unknowns of the new wolves. Sam is just an angsty kind of guy. However, Linger is not entirely the Sam-and-Grace show, because now we add in the viewpoints of Cole and Isabelle. Cole was not a very likable guy. I’m not even sure if I was supposed to like him. He’s charismatic and charming, but not the kind of person I really want to spend any time with. Add in that half the characters also don’t like him, and I think it’s okay that I didn’t either. He was interesting. Just not likable. However, I did like Isabelle, which is funny, because she’s also not a very likable person. But a lot of the time, she had the sole voice of reason, making the same observations I was and pointing out obvious things that really should be priorities for the other characters. 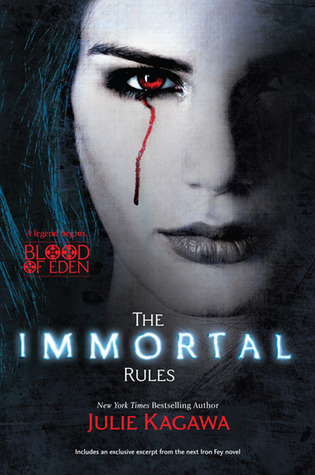 And despite everything Isabelle went through in the first book, she was surprisingly non-angsty and down-to-earth. Yes, there was the weird thing between her and Cole, which was kind of out-of-the-blue, but it wasn’t a central plot point like the Sam-and-Grace relationship. For the most part, the Isabelle chapters were my favorites. The plot for Linger is, in my opinion, more interesting than the one for Shiver because there’s a bit more mystery about the whole thing, a bit more of the danger and unknown that makes a story interesting. Also, less focus on the romance (although it is still very much present), which was good because while I love a good romance, I need it to be more sub-plotty and less main-plotty. My biggest problem with Linger was Grace’s conflict with her parents. I got SO FRUSTRATED with that whole thing, and it was for three reasons. 1. Grace’s parents’ concerns were totally valid, as were their reactions to what Grace was doing and the way they decided to deal with it. If anything, I thought she got off easy. 2. Grace acted like a disrespectful brat, throwing out basically every teenage angsty cliche in the book, driving her parents bonkers, then acting like their reaction was completely unreasonable and over-the-top, and being utterly narrow-minded and self-centered. I honestly couldn’t stand her in those chapters. 3. Grace’s relationship with her parents for all of Shiver and the first part of Linger undermined them when they actually attempted to do some decent parenting, and I hated that that was the case. While I still don’t think Grace’s melodramatic hissy fit was justified, I can at least understand why she was disinclined to listen to her parents’ concerns after they spent most of her life decidedly absent. Everything about this part just rubbed me the wrong way, and while I understand that it makes sense for the characters (because after all, Grace is a teenager in the throes of her first serious relationship, and her parents are uninvolved 95% of the time), it was beyond frustrating. I think this is a matter of perspective, not the writing or storytelling. If I was a teenager reading this, I may have completely sided with Grace. But I’m a parent, so I couldn’t. You may think this is the best part of the book, and if so, good for you. I’m glad you don’t have to be frustrated. Then there was the ending, which was actually kind of neat. I saw half of it coming, but the ultimate resolution took me by surprise. It’s the reason I’m going to keep going and read Forever, because I’m really curious how they’re going to work out a solution to this problem. I’m just hoping they don’t turn Cole into a deus ex machina, because I could see it going there. I’m also hoping that we get less angst, less brattiness, and more Isabelle-as-the-voice-of-reason. 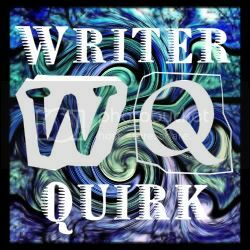 Content guide: Language, drug use, profanity, sexual situations, implied violence. I have had For Darkness Shows the Stars sitting on my shelf since summer, because as soon as I hear the magic words “sci-fi Jane Austen retelling,” I am SOLD. (Not that I hear those words often, which is sad). But life and procrastination and over-commitment being what they are, I didn’t actually read it until over Thanksgiving. 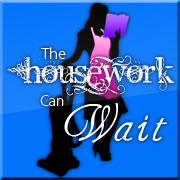 All the while being berated by friends who had red it and liked to yell at me, “WHAT ARE YOU WAITING FOR?” And it was getting ridiculous, so I read it. You know what Jane Austen does really, really well? Break my heart. She has this knack for making her characters suffer and suffer and suffer — all internally, where no one else can notice — and then, when you are pretty much ready to throw the book, she turns things around. In a way that is beautiful and immensely pleasing and redeems all the prior suffering. 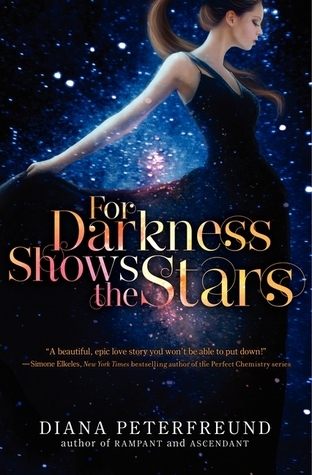 This is what Diana Peterfreund does extremely well in For Darkness Shows the Stars. The childhood letters between Elliot and Kai, spanning all the years of their friendship, are an excellent illustration of what sort of relationship they had, and why Elliot is so heartbroken when he comes back cold and distant. I loved the character development, and Elliot’s struggle between loyalty to her family, her people, Kai, and the people under her care. All of the many ways she is pulled make sense, and there’s no obvious answer to what she should do. And of course, there’s the Austen-esque dilemmas of characters who are constantly trying to do what they think is best for another person, and of propriety and decorum keeping people from speaking their minds. Even though For Darkness Shows the Stars takes place in the future instead of Victorian times, the way the world is constructed makes the Austenian society work. I also liked the premise of the world, and the back story of what happened with the Luddites and the Reduction. It was fascinating, and I actually wish the details had been more fully explored. All we ever got was a broad overview of what happened, and while it didn’t leave me with any confusion, I still had questions. The only thing I had a problem with — which unfortunately kind of tainted my overall feelings of the book — is that Kai does something that Elliot has a huge ethical problem with. It’s a major conflict in the book, and there are extremely legitimate reasons why she SHOULD have a problem with what he did. And yet, by the end of the book, it’s like she’s decided this major thing — the thing that kept them apart four years ago, the thing that’s kept her from being able to trust him when he comes back — that thing suddenly is a non-issue. And it really shouldn’t be. I wish it had been addressed. Even a look into Elliot’s head at WHY this thing no longer mattered to her would have been helpful. As it was, I felt like a huge part of her character and the plot was left kind of unresolved, and that bothered me. Did I still love the slow, torturous romance between Elliot and Kai? Absolutely. Did I cry reading Kai’s final letter? Buckets. 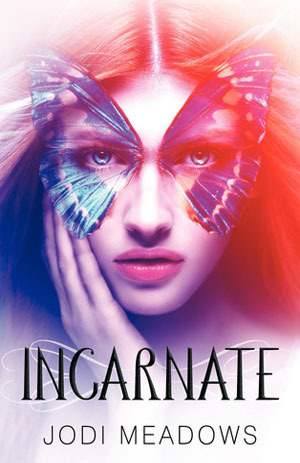 The emotions were handled masterfully in this book, and again, the characters are wonderful. It’s just that pesky logic thing that kept me from absolutely LOVING this book. As it stands, I really, really enjoyed it. I have never read a purely werewolf book before. Werewolves as part of other stories, sure. But never a book that was only about werewolves. I wasn’t sure how I would feel about it, but I’ve heard good things about Shiver and I knew I liked Maggie Stiefvater’s writing style from reading The Raven Boys. And then Scholastic was awesome enough to send me the entire trilogy to review, so while I was on vacation last week, I plunged into the first book. My impression on this first book was kind of a mixed bag. On the positive side, I still really like Maggie Stiefvater’s writing. She has a great way of pulling a reader into the story and describing things in ways that are almost tangible. 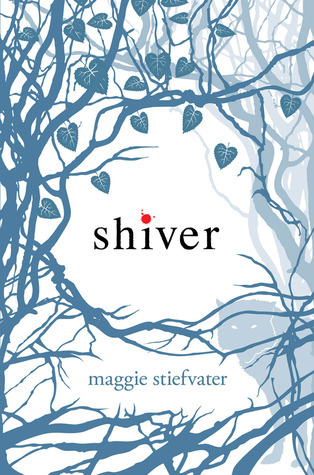 Of course, a huge part of Shiver revolves around the highly unpleasant sensation of being cold, which I hate, so sometimes I kind of wish her writing had been a little less visceral…but that’s what I get for reading a book called Shiver. That’s really much more my problem than the book’s. I liked Grace and Sam (Sam probably a bit more than Grace), and while the book alternated their first-person points-of-view, I never found their rotating voices confusing. Each had their own distinctive ways of thinking and reacting (Do emo rockers really make up spontaneous song lyrics all the time? Is that a thing?) and I actually found it a bit refreshing to not stay with the same character the whole way through the story. I think either of them on their own for the entire book would have been a bit much, as both of them are preeeetty intense and kind of obsessive. So switching was good. I also liked the way the werewolf mythology was handled. It was an interesting take on the archetype, presented very straightforwardly without a lot of bells and whistles. The characters even say on several occasions that the transformation from human to wolf is scientific, not magical (although it never really does explore this supposed “science,” which kind of takes away from that argument). But I like that the origin story of the wolves was not the focus. They simply were werewolves, which they dealt with, then moved on. Now the parts I wasn’t so sold on. First, Grace’s obsession with the wolves is creeeeepy. Seriously, the girl really should have been in therapy for most of her life. She had a crush on a wolf. A wolf she had no idea was human for several months out of the year. So basically, she has a romantic attraction to an animal and this is somehow okay because we know he’s a wolf. But she doesn’t. WHY ‘OF COURSE’? WHY WOULD YOU COUNT THE TIME WHEN YOU WERE DIFFERENT SPECIES AS ‘GOING OUT’? WHY IS THIS NOT EXTREMELY CREEPY? And this leads to my other issue with the book, which is because they both are apparently under the impression that they were carrying on some sort of romantic relationship while Sam was a wolf — and Grace had no idea he could turn into a human — they plunge right into a super-serious relationship the second he turns human. Even though their entire scope of interaction until that point has been staring at each other across her backyard. WHILE HE WAS A WOLF. This is now something on which to base a deep, borderline-obsessive relationship, apparently. It seemed very instalovey to me, and I know it’s not supposed to because of the aforementioned wolfy staring, but I just can’t count that as the basis for any sort of healthy human relationship. So. Obviously that bothered me. And their obsession with each other really was a significant portion of the book, which means a significant portion of the book bothered me. However. I will read the rest of the series, and not just out of obligation. See, I’m pretty sure that I’ll only ever have to experience Grace and Sam “falling in love” (while he is a four-legged furry animal) in this first book. Hopefully subsequent books focus on other parts of the story, like the interesting secondary characters, and the aftermath of the end of this book (which is a pretty solid ending), and the other werewolves. And those are all things I’m interested in reading about. Oh good, this one’s easy. I really, really loved this book. I hate the cover. So much that I will never buy a physical copy of this book, even though I am all about physical copies, because I don’t want it on my shelves. Digital only for me. 1. I understand that the tear of blood is actually very relevant to the plot, but ewwwww. (Seriously though, it’s an awesome book).